When extra-dimensional demons start springing up, it’s time to take up arms. It seems like cooperative shooters are coming out of the woodwork these days. 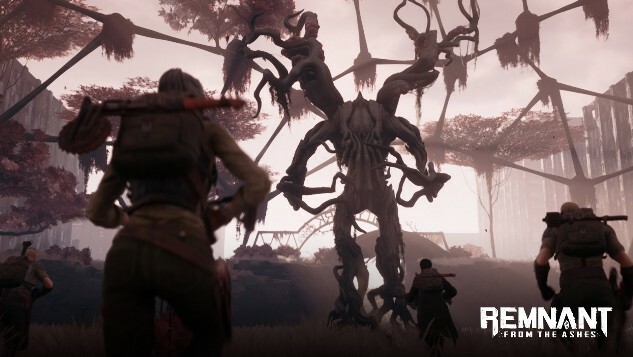 Survival-action game Remnant: From the Ashes is coming to the PlayStation 4, Xbox One and PC in 2019, according to publisher Perfect World Entertainment and Gunfire Games, the studio behind Darksiders 3. In this third-person co-op shooter, players are transported to a world where humanity is invaded by creatures from another dimensional. Forced to fight back, survivors move from dimension to dimension in order to live another day. In the fight against these unknown enemies, players will be able to fully customize their weapons and gear, while upgrading their characters. While the game has just been announced, players won’t have to wait long to get hands-on time. Perfect World Entertainment and Gunfire Games will have a playable demo of Remnant: From the Ashes at Gamescom in August and PAX East in early September. Watch the reveal trailer for Remnant below.